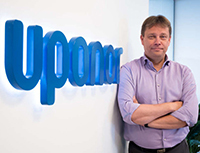 Ilari Aho, Vice President, New Business Development & CSR, is responsible for Uponor Group’s strategic research and innovation management, new business development, standardisation and legislation, and corporate responsibility functions. Ilari currently serves as Board Member in World Green Building Council, Board Member and Treasurer of the European Construction Technology Platform (ECTP), Executive Council member of the European Heating Industry Association (EHI), Vice President of ENCORD (European Network of Construction Companies for R&D) and member of the Industry Advisory Forum of CEN-CENELEC. The Built Environment is facing an enormous challenge regarding the Circular Economy. We all understand and embrace the need for circular buildings, but how do we realize this? Circular building has an impact on the way we design, build and work. Our challenge is how we approach this in practice by measuring and guiding the process. Wouter Roemaat (partner and owner at Alba Concepts) will use this stage to give specific guidelines on how to achieve this. 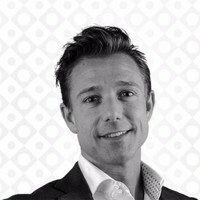 With his PhD in Design Management, Wouter understands the importance of connecting different stakeholder aspects with each other to achieve the desired results according to the predefined ambitions. Alba Concepts is a sustainable project management- and consultancy. With over 20 experts employed, they are one of the leading companies in the Netherlands within sustainable real estate development. Let’s help each other to realize a more sustainable future. I am looking forward to see you on the 22nd of May. 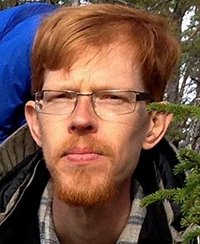 Andersson leads the Stockholm Resilience Centre’s research on urbanization and human dominated landscapes. In his case this means leading research projects on green infrastructure, and how to make them more than what they are today. Andersson has worked in and led several larger European projects on green infrastructure – from its ecological properties to its governance and contribution to human wellbeing and urban resilience. A centrepiece in this research has been to understand cities as interconnected social, ecological and technical systems, and how different interactions across these domains influence the quality and resilience of the city. The scope and scale of Andersson’s studies is usually larger than individual sites, making cross boundary, cross scale dynamics become critical. Saskia Beer is a Dutch urban development entrepreneur and consultant. She founded ZO!City (formerly known as Glamourmanifest) and Transformcity. She was trained as an architect and worked for renowned Dutch and Japanese offices. In 2010 she decided to thoroughly redefine her role by initiating local projects for making the city more exciting, inclusive and resilient. In 2011 Glamourmanifest unsolicitedly adopted Amstel3, a 250 ha office district in Amsterdam with a 30% vacancy rate. After the municipality had to withdraw their top-down redevelopment plans, Glamourmanifest developed an alternative strategy based on multi-stakeholder collaboration. The size and impact of the project evolved incrementally and led to fundamental new insights and methods. Saskia's current company Transformcity now helps cities and real estate companies around the world with strategic consultancy, support and tooling for urban transformation. Their interactive online platform won the second prize (civic engagement) in Le Monde International Smart Cities Innovation Awards 2016 and the 2016 Call for Solutions of the World Smart City Expo in Barcelona. Also it is a best practice in the Citizen City Action Cluster of European Innovation Partnership on Smart Cities and Communities (EIP-SCC). In 2017 the Transformcity platform won Amsterdam’s Startup in Residence program and the municipality officially became launching customer, starting in two of their largest transformation districts and helping the platform to further develop. 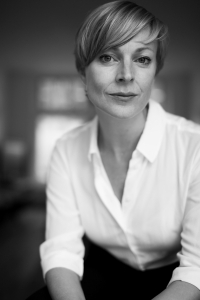 As a leading urban pioneer, Saskia gives regular talks to both students and professionals, attends various urban award juries and is actively involved in the international discourse about new strategies and technologies for urban planning and development.